It’s almost time for Uttrayan (the kite festival). Last year I wrote all about my childhood memories of kite fighting during the festival. Flying kites isn’t as fun without the sport of the fighting. 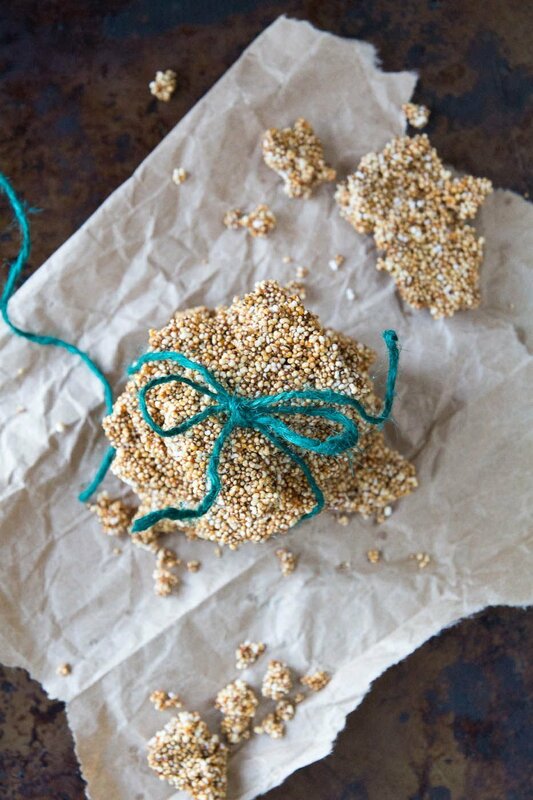 But I still like to think about those wonderful days spent on rooftops with my dad and brother, flying kites, battling neighbors and eating the chikki (brittle) my mom would make. I always celebrate January 14th with chikki because it’s traditionally eaten during the kite festival. 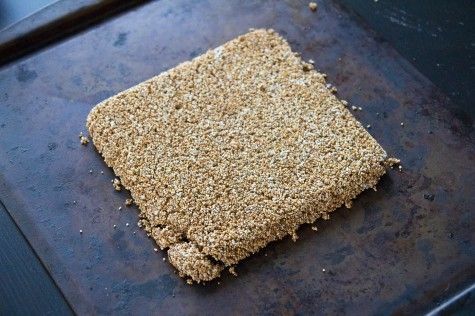 This year, I made amaranth brittle. I really loved Amaranth brittle when I was younger. When I set about trying to make it for the first time this year, I realized why. 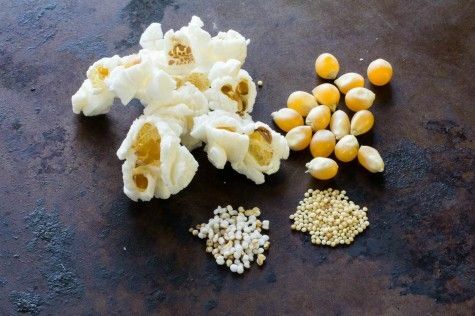 It’s basically caramel popcorn! And I absolutely love caramel corn! Amaranth brittle is made with popped amaranth and has a very fine but fluffy texture, it’s like eating tiny popcorn. 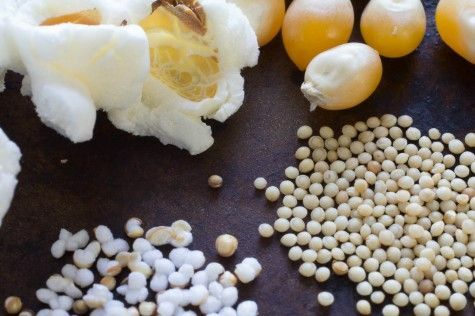 The other big difference between popcorn and amaranth is that amaranth has a much more mild flavor so you can really taste the jaggery (cane sugar) in the recipe. 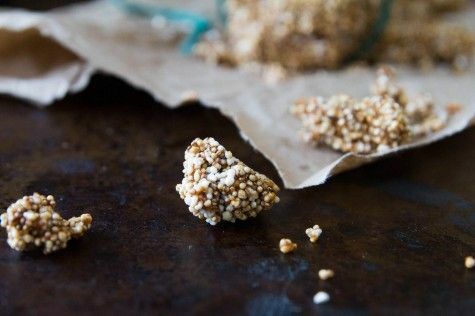 Amaranth is a tiny little seed with a long and interesting history. 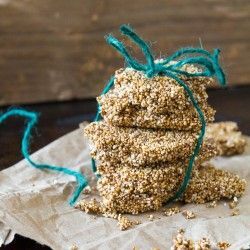 There are many different varieties of Amaranth. It is grown in both the Himalayas and coastal regions of India. It is also native to the Andes. 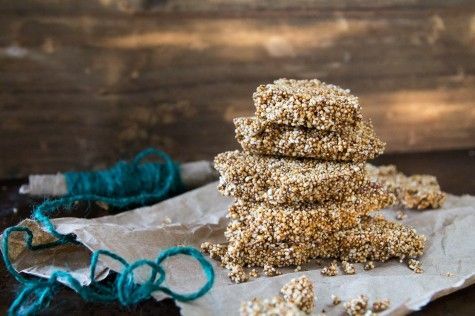 It was widely eaten by the Aztecs (mixed with human blood) but was outlawed by the Spanish conquistadors who were not fans of human sacrifice. 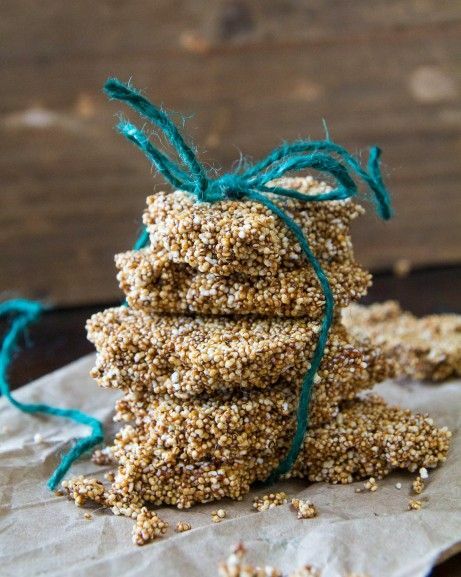 Amaranth is super high in protein and is gluten free. It is known as Rajgira (the royal grain) in Gujarati and Ramdana (God’s seed) in Hindi, suggesting the highly prized nature of the seed. 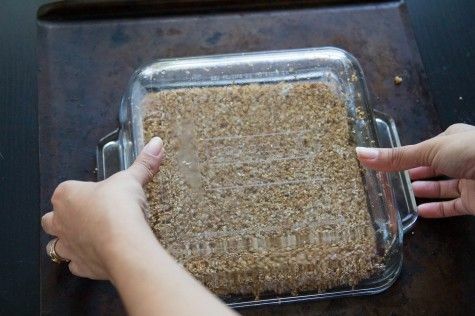 Grease a 9×9 inch baking pan with coconut oil. 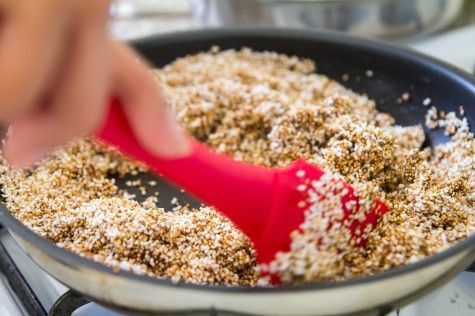 Heat a stainless steel or cast iron pan over medium heat until very hot. About 2 to 3 minutes. In the same pan, heat the coconut oil over medium heat. Add the jaggery and the pinch of salt. 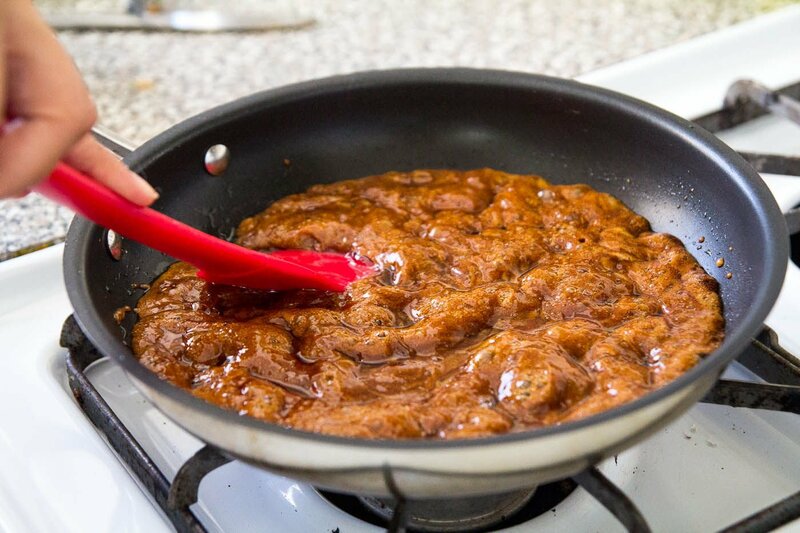 Stir until the jaggery is melted and there are no more lumps remaining. Add the popped amaranth and stir. Combine well. Transfer the amaranth mixture to the greased baking dish. Spread evenly with a spatula. 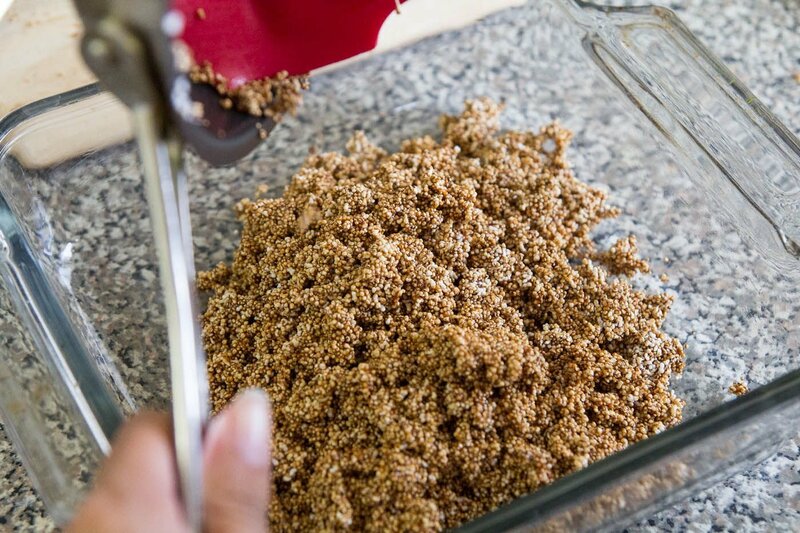 Once the brittle is cool, remove from the baking dish and break into shards with your hands. 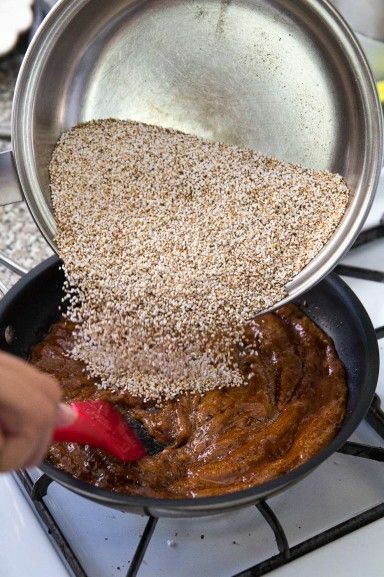 The length of time you cook the jaggery with determine the crunchiness of the brittle. I don’t like super crunch brittle so I just melt the jaggery and add the amaranth as soon as it’s melted. Let the jaggery cook longer for crunchier brittle. Be careful not to burn it! If you are kind of obsessive, like me, and are bothered by unpopped amaranth, pop the amaranth 1 teaspoon at a time. I found that more seeds popped that way. But I also popped 1/4 cup at a time and it worked just fine. 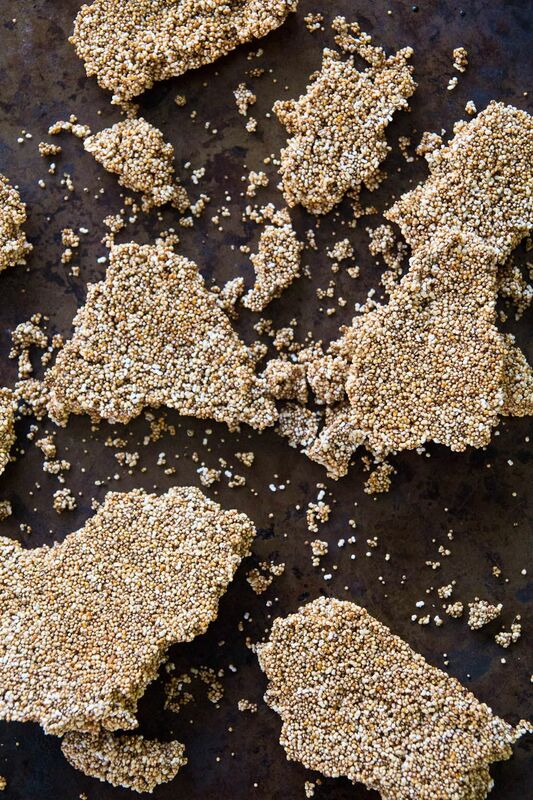 Traditionally, amaranth brittle is made with ghee, not coconut oil. But I wanted to keep it vegan and I really like the touch of coconut flavor. Feel free to use ghee instead if you prefer. I bought my amaranth at Whole Foods. It’s widely available at health food stores. Comments on "Amaranth Brittle (Rajgira ni Chikki)"
Where did you buy rajgira? I bought some at the Indian store and it never popped! :( :(. The chikki looks perfect. Looks so tempting and perfect! !